May 11, 2013 (LocalOrg) – It was inevitable. A technology like 3D printing that essentially puts cheap labor, manufacturing, and retail all in the same place – upon one’s desktop – spells the absolute, utter and permanent end to the monopolies and unwarranted power and influence of the corporate-financier elite who have lorded over humanity since human civilization began – a permanent end the elite will fight against with the total summation of their ill-gotten power and influence. The pretext being used to begin this war, is a 3D printed gun built and demonstrated by Defense Distributed in Austin, Texas. After designing, printing out, and firing the 3D printed gun, the US State Department demanded that the designs, distributed for free on the Internet, be taken down – claiming tenuously that by posting the designs on the Internet, arms export bans may have been violated – this the same government that is on record, openly shipping arms, cash, and military equipment to its own listed terrorist organizations from the Mujahedeen e-Khalq (MEK or MKO) in Iraq and Iran, to the Libyan Islamic Fighting Group (LIFG) in Libya, to Al Qaeda’s Syrian franchise,Jabhat al-Nusra. The US government has demanded the removal of online files which allow users to 3D-print their own unregistered gun at home. The blueprint has so far been downloaded more than 100,000 times since Defense Distributed – which spent a year designing the “Liberator” handgun – made it available online. Last week Defense Distributed built the gun from plastic on an industrial 3D printer bought on eBay for $8,000 (£5,140), and fired it. The Office of Defense Trade Controls Compliance wrote to the company’s founder Cody Wilson demanding the designs be “removed from public access” until he could prove he had not broken laws governing shipping weapons overseas. For several years now, buzz has been growing about 3D printing. Small companies have begun opening up around the world, selling 3D printers, or using 3D printers for small run production, filling niches, or shifting markets from large corporations and their globalized supply chains, to local, decentralized business models. While governments like those in China have embraced the technology and wholly encourage a grassroots, bottom-up industrial revolution, others, like the US have only feigned enthusiasm. Caterpillar, Ford, Intel, and Apple are large globalized monopolies – the personal manufacturing revolution would not see “state-of-the art labs” open up in towns across America to help augment the bottom lines of these Fortune 500 corporations, but would see decentralized alternatives to these corporations cut into and utterly gut their bottom lines – a reality US President Barack Obama and the corporate-financier interests that dictate his agenda must surely be aware of. In the case of Ford and other big-auto giants, who by right should be shuttered and out of business already had it not been for their unwarranted influence and power buying them immense bailouts from America’s taxpayers, there are already alternative business models undermining their monopolies. In America itself, there is Local Motors who recently gave a short tour of their manufacturing facility they called a “microfactory.” These microfactorires represent the next step in industrialization where small companies will cater to smaller, local markets and niches, entirely replacing the centralized Fortune 500 corporations of Detroit, barely clinging to life and their unsustainable, antiquated business model as it is. 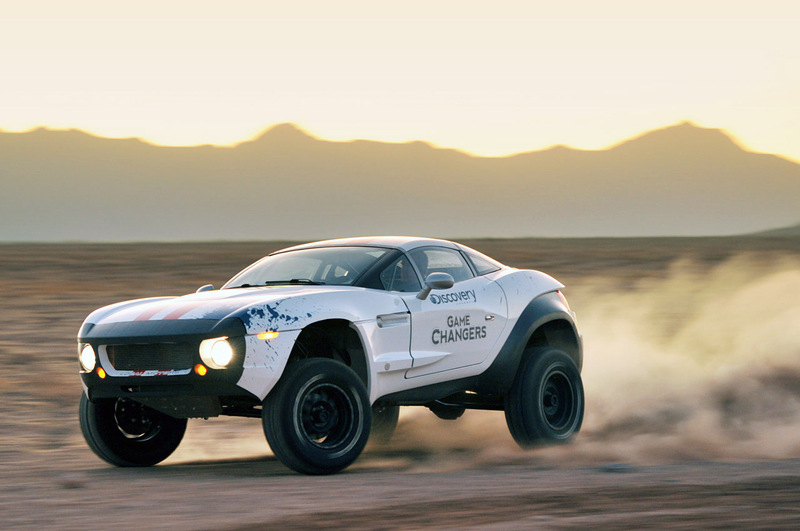 Video: Inside Local Motors’ Rally Fighter and open-source collaborative microfactory production. The only conceivable means by which big-auto monopolies could hope to survive is by having the same bought-and-paid for politicians it used to bail its collapsed business model out with, impose sweeping regulations to make it illegal for “microfactories” to operate. We can already imagine, by extrapolating from the US State Department’s move against Defense Distributed, the arguments that will be made. These will be centered around “safety,” “taxation,” and perhaps even claims as bold as threatening “jobs” of autoworkers at Fortune 500 monopolies. Similar ploys are currently working their way through a legislative and sociopolitical gauntlet in regards to the organic food movement. This is a ban that’s going to be virtually impossible to enforce: as almost any music company will testify, stopping online filesharing by banning particular sites or devices is roughly akin to stopping a tsunami with a bucket. Another approach might be to attempt to ban or regulate 3D printers themselves. To do so is to stifle a potentially revolutionary technology in order to address a hypothetical risk – and that’s even before the practical problems of defining a 3D printer for the legislation. It would have to be defined broadly enough for a law to be effective, but narrowly enough so that enforcing the law doesn’t take out half of the equipment used in every day manufacturing. It is likely a futile ambition. Indeed – as a 3D printer is essentially nothing more than circuit boards, stepper motors, and heating elements to melt and extrude layers of plastic – it would be as impossible as it would be ridiculous to try to stem the tide of 3D printing by regulating printers, as it will be to attempt to regulate and ban any and all “prints” that threaten the current establishment’s monopolies and hold on power. Everyone is eventually going to have access to this technology and by consequence, the ability to print out on their desktop what Fortune 500 corporations have held monopolies over for generations, including arms manufacturing, automobiles, and electronics. The age of empire, corporatism, and elitism is drawing to a close, but apparently not without one last battle. While some may be paralyzed in fear over the prospect of their neighbor one day having the ability to print out a fully functional weapon, it must be realized that like all other prolific technologies, the fact that it will be in “everyone’s” hands means that more good people than bad will have access to it, and it will be in their collective interests to create and maintain stability within any emerging technological paradigm. Just like with information technology, where malicious activity certainly exists, more people are interested in the smooth, stable function of this technology in daily life and have created a paradigm where disruptions happen, but life goes on. People must embrace, not fear 3D printing. Key to its integration into society is to ensure that as many people as possible understand it and have access to it. This must be done as quickly as possible, to outpace inevitable legislation that seeks to strangle this revolution in its cradle. Education: We must learn as much about this technology as possible. 3D printing incorporates skills in electronics, 3D design, and material science. Developing skill-sets in any of these areas would be beneficial. There are endless resources available online for free that offer information and tutorials on how to develop these skills – just an Internet search away. Alternatively, for people curious about this technology and seeking to get hands-on experience, they could seek out and visit their local hackerspace (an extensive list of spaces can be found here). Hackerspaces are essentially technological fitness clubs, where one pays dues monthly for access to a space and the equipment within it to work on projects either individually or in a collaborative effort. 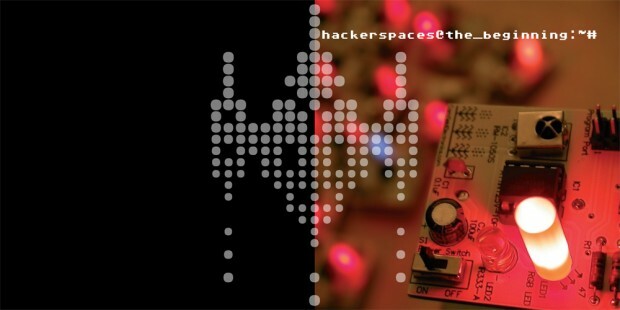 Image: Cover of “Hackerspaces @ the_beginning,” which chronicles the creation, challenges and successes of hackerspaces around the world. The original file can be found here, and an online version can be viewed here, on Scribd. Hackerspaces generally attract people with the necessary skill-sets to assemble, use, and troubleshoot 3D printers currently on the market today. They also possess the skill-sets needed to build 3D printers and other computer-controlled manufacturing systems from parts that as of yet have not been “regulated.” Generally, hackerspaces host monthly workshops that help new people develop basic skills like soldering and programming, or 3D design and even “builds” where purchased 3D printer kits are constructed with the guidance of a resident expert. The proliferation of this knowledge will make the already daunting task of stripping personal manufacturing technology from the people, all but impossible. Developing Local Institutions: It is essential to both expand existing hackerspaces and their use of personal manufacturing technology, as well as establish and build up new spaces. Ingraining hackerspaces as essential local institutions in our communities is one of the keys to heading off the coming war on personal manufacturing and other disruptive technologies sure to gain the ire of legislators as corporate-financier monopolies begin to suffer. A place where people can go learn and use this technology, as well as collaborate in its advancement will turn 3D printing and other disruptive technologies from curiosities, into practical tools communities can use to reinvigorate their local economies, solve local problems, and overall improve their lives themselves, independently and self-sufficiently. A hackerspace can start with something as simple as a single table with several chairs around it and some shared equipment used during weekend get-togethers with friends, and can develop into something as significant as a full-fledged organization with hundreds of members and global reach. Ignoring and Circumventing Illegitimate Governments and Their Declarations: As already cited, the US government is currently funding a myriad of its own listed terrorist organizations to horrific effect from Iraq and Iran, to Libya and Syria. To declare a 3D printed gun “outlawed” and its presence on the Internet a “violation” of arms export laws, is as hypocritical as it is illegitimate. Just as file sharing continues unabated, while alternative media supplants what is left of the corporate-media’s monopolies, a similar paradigm must be developed and encouraged across the tech community in regards to 3D printing, personal manufacturing, and other emerging disruptive technologies such as synthetic biology. Already, parallels are being drawn between 3D printing and the shifting paradigms of information technology and file sharing. Whether or not the average person joins in against the war on 3D printing and personal manufacturing, the tech community will almost certainly continue on with their success from the realm of shaping and moving information to the world of shaping and moving atoms. However, for the average person clearly aware that “something” is not quite right about where things in general are going and who are seeking solutions, establishing local institutions that leverage unprecedented technology to solve our problems ourselves, without disingenuous politicians and their endless schemes, seems like a sure choice. There is already a burgeoning community of talented people working on bringing this technology to its maturity and leveraging it for the benefit of communities and individuals. If we are to ensure this technology stays in the people’s hands and is used in the best interests of the people, then as many of “the people’ as possible must get involved. Do some additional research into 3D printing, locate your local hackerspace, and/or start a hackerspace of your own. Start looking into buying or building a 3D printer and developing ideas on how to use this technology both for education and for local, tangible development. The future is what we make of it, and if we – with our own two hands – are making nothing, we have no future.